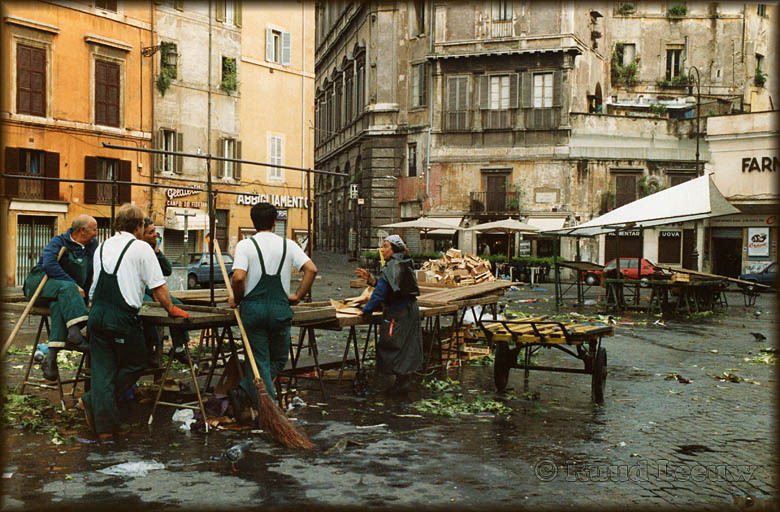 We flew KLM to Rome in Oct.1991. The return trip was on Alitalia. A KLM cabin attendant dropped hot coffee in my lap, the Alitalia flight I remember best for the free wine they served wth dinner. Guess which flight I preferred best?!. 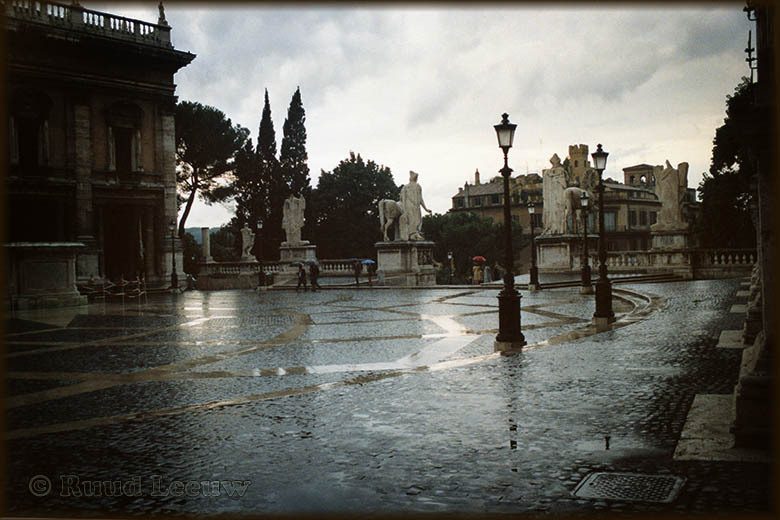 Rain fell upon our arrival in Rome, but we enjoyed sunny weather most of the time. We stayed in Hotel/Pensione 'Fiori' in the Via Nazionale, very centrally located. 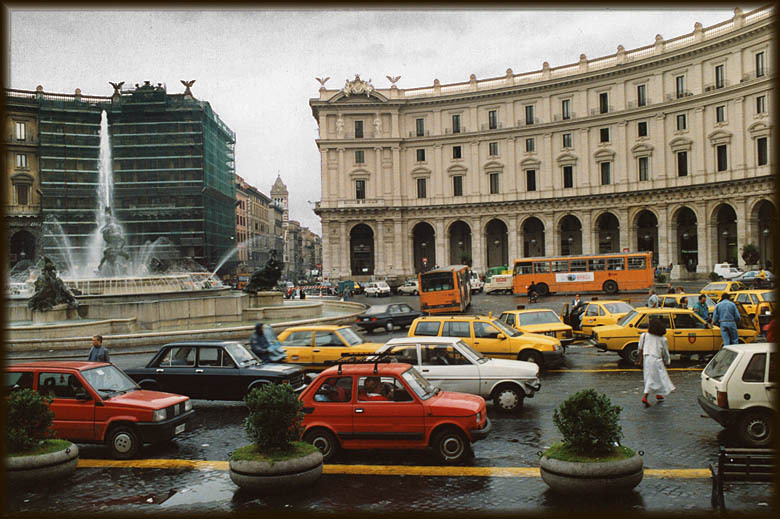 It took only a 10 minutes walk to get to the Piazza della Repubblica. If we turned the corner from the Via Nazionale into Via Serpentie, where we dined most nights in one of the many small restaurants, we saw the Colosseum in the distance. 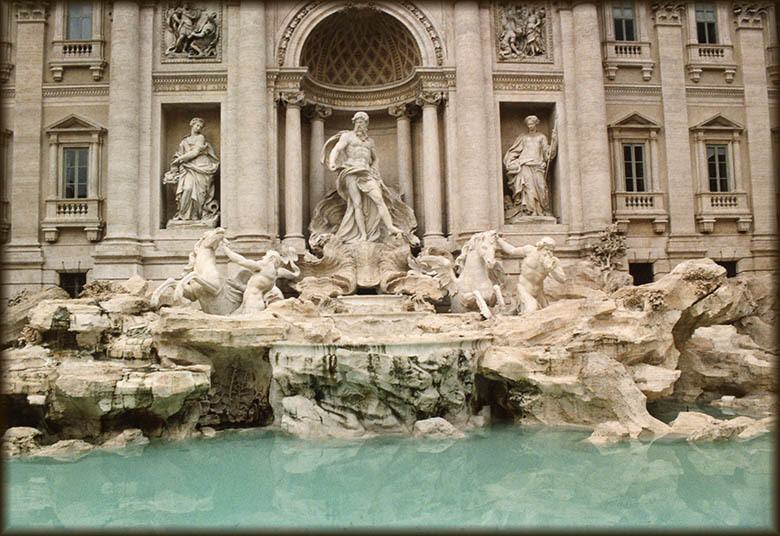 You could be nowhere else than in Rome, Italy! The Quirinal Palace (known in Italian as the Palazzo del Quirinale or simply the Quirinale) is the current official residence of the President of the Italian Republic on the Quirinal Hill, the tallest of the seven hills of Rome. The palace, located on the Via del Quirinale and facing onto the Piazza del Quirinale, was built in 1573 by Pope Gregory XIII as a papal summer residence. It was also used as the location for papal conclaves in 1823, 1829, 1831, and 1846. It served as a papal residence and housed the central offices responsible for the civil government of the Papal States until 1870. In September, 1870, what was left of the Papal States was overthrown. 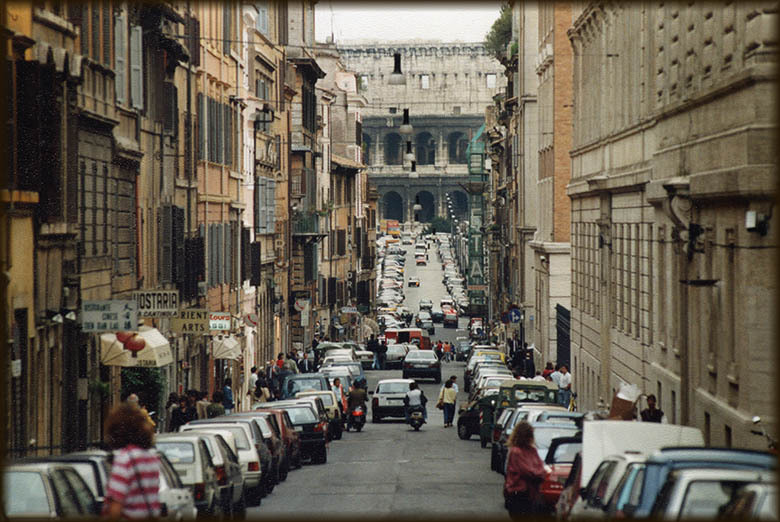 About five months later, in 1871, Rome became the capital of the new Kingdom of Italy. 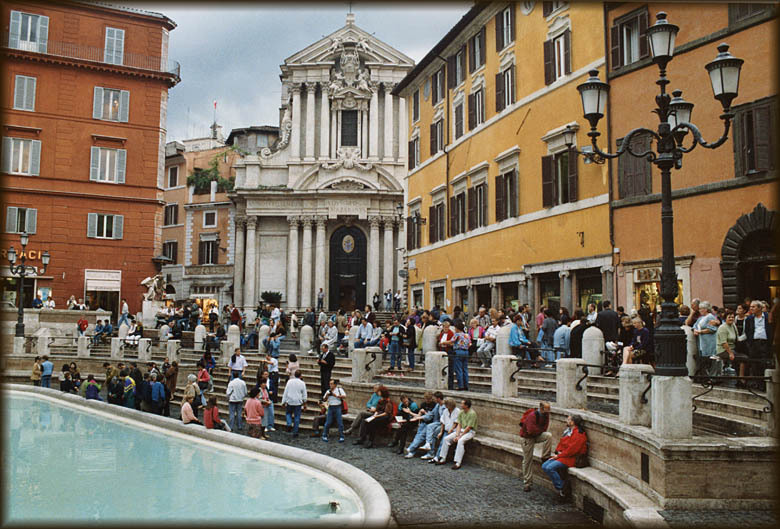 Everybody flocks to the Trevi Fountain, it is the largest Baroque fountain in the city. People throwing coins in a pool of water of any size annoys me so much, infantile behaviour. This Trevi Fountain certainly got its share. I don't much care for baroque, I found it more enjoyable to watch the people around me. It is a good place to eat your sandwich, compiled in the local supermarket (bread, chunk of brie, salami and cola & water to wash it down), ample opportunity to enjoy a cheap-sit-down-lunch. 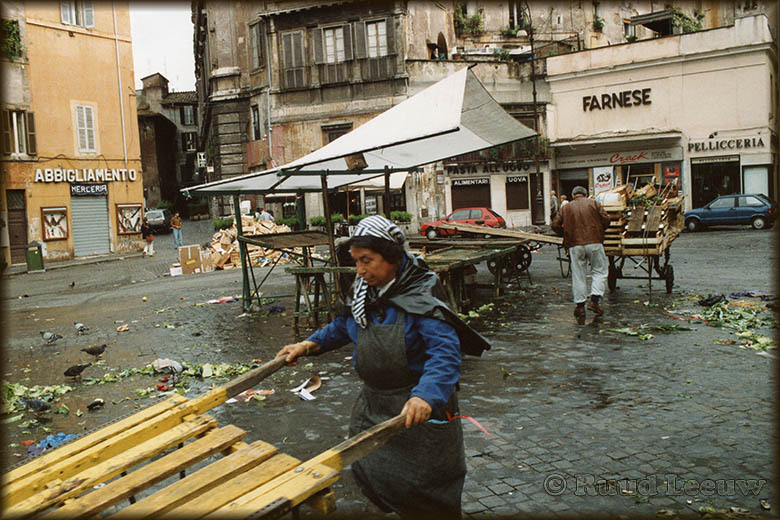 We arrived here when the market had ended and people were cleaning up. It is within walking distance from the river Tiber and besides this area being a historic neighbourhood, there are lots of nice (probably expensive) boutiques for (window) shopping. 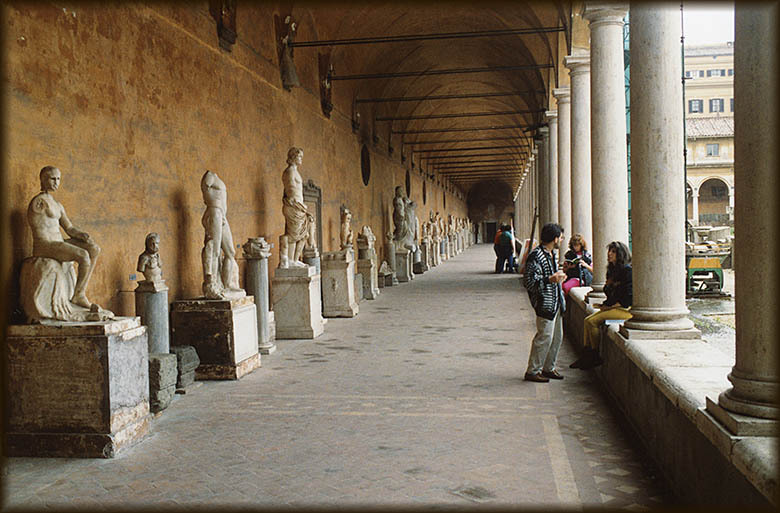 In Ancient Rome the area was unused space between Pompey's Theatre and the flood-prone Tiber. Though the Orsini established themselves on the south flank of the space in the 13th century, until the 15th century the square remained undeveloped. The first church in the immediate vicinity was built during the pontificate of Boniface IX (1389-1404). 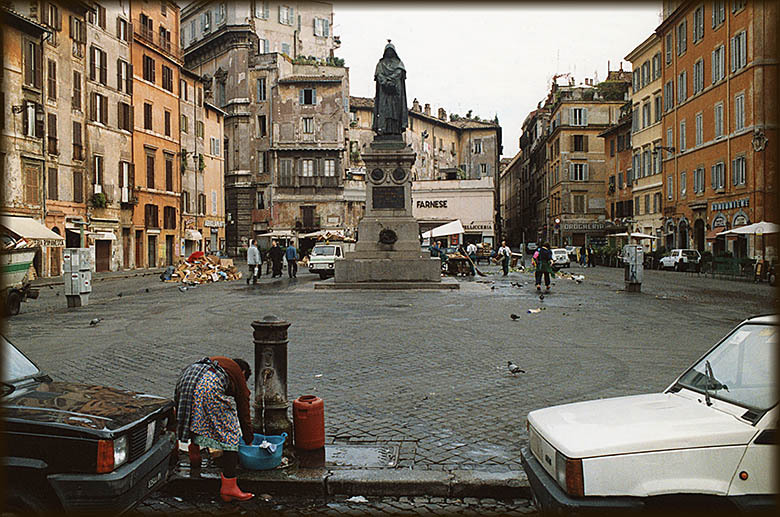 Capital punishments used to be held publicly in Campo dei Fiori. This woman was waiting for someone, but she could not wait on the curb as men in cars and on scooters stopped and adressed her.. So she turned around and admired the art on display. 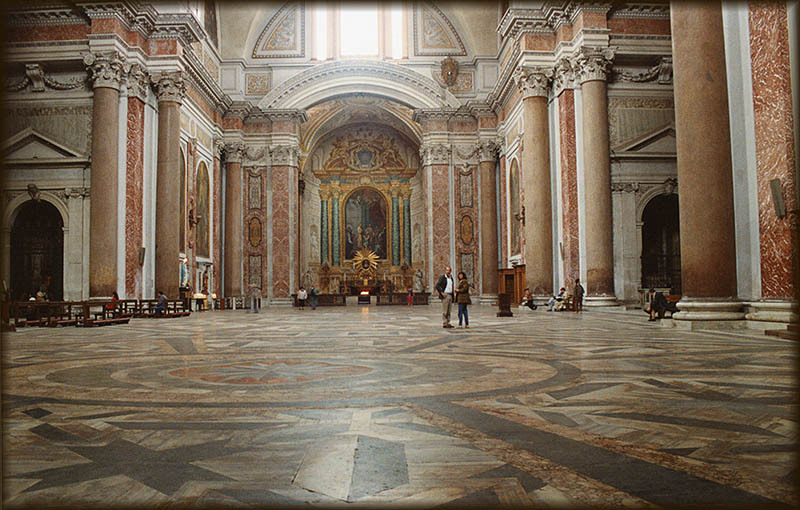 I just admired the symmetrie..
Santa Maria degli Angeli e dei Martiri, usually known only as Santa Maria degli Angeli, is a church dedicated to the Blessed Virgin Mary, to the angels and to the Christian slaves who died building the Baths of Diocletian. 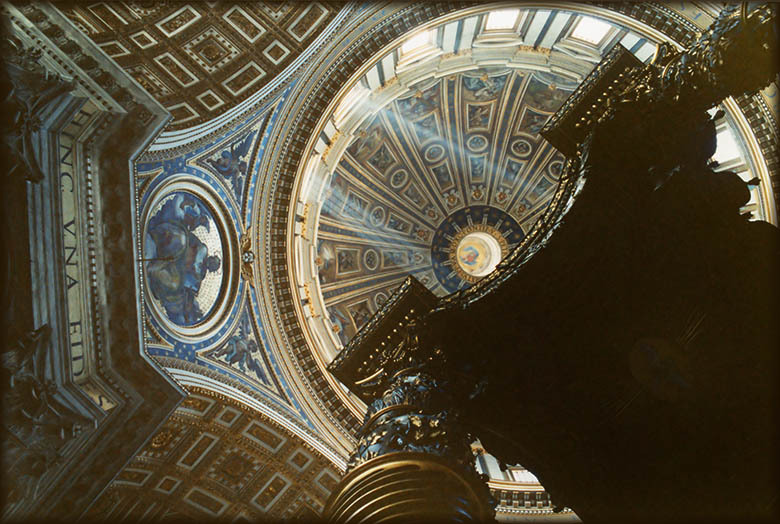 The Saint Peter's Basilica in Vatican City. They wanted me to hand over my camerabag, something I don't take kindly too. So I didn't go in, except to snap this picture when the guard didn't look. We walked a lot, crisscross through the city until our feet hurt. 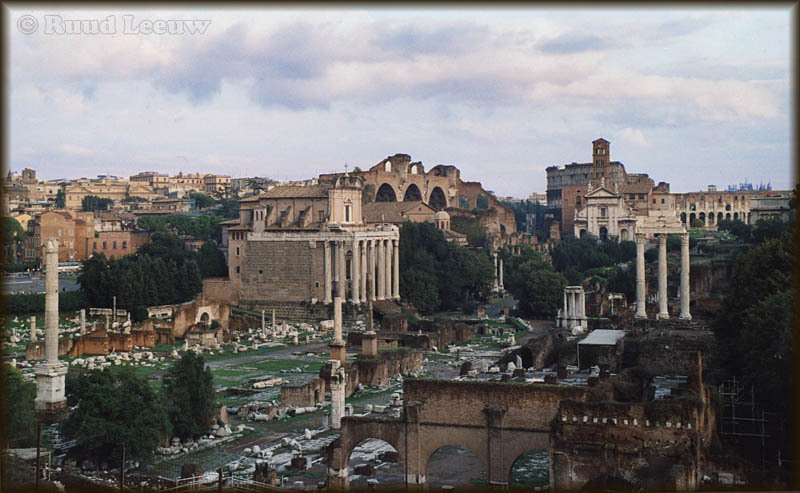 Our hotel was not far from the Foro Romanum and we passed this scene a number of times. 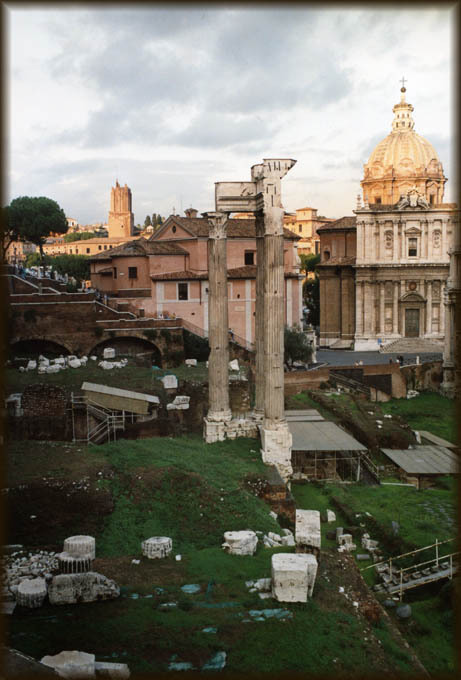 We have visited the Roman Forum on a previous visit to Rome so we did not enter the grounds, but I just had to take some photos each time we passed it. 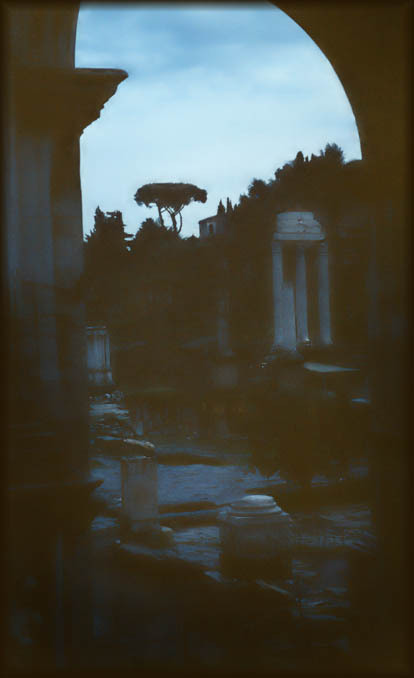 According to tradition, the forum's beginnings are connected with the alliance between Romulus, the first king of Rome controlling the Palatine hill, and his rival, Titus Tatius who occupied the Capitoline hill. Accordingly, an alliance formed after combat had been halted by the prayers and cries of the Sabine Women. 'Monte Capitolino' is the smallest of the 7 hills Rome has been built on and also the most well-known. These days the authorities of the city have their offices here. 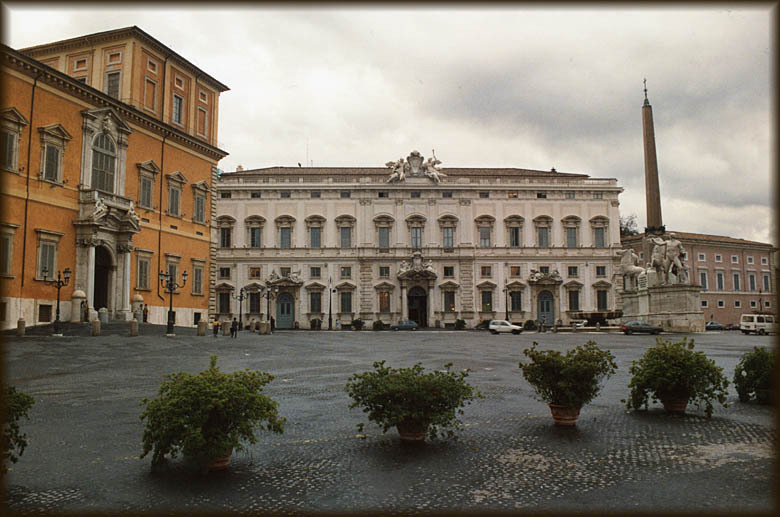 The photo shows the 'Piazza del Campidoglio'. This hill is right next to the Roman Forum and was only 15 minutes walking from our hotel. 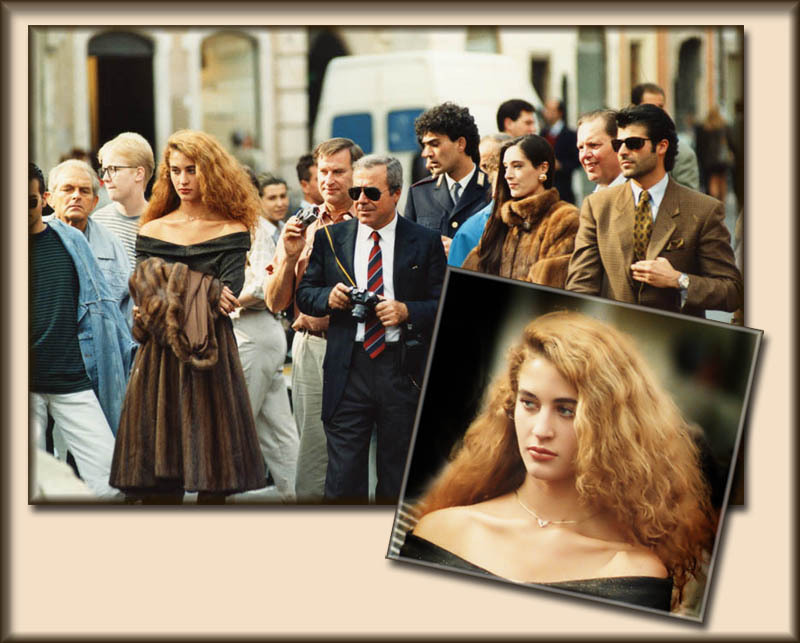 We ran into the shooting of a commercial for furcoats, at the Piazza di Spagna. I wonder if she made it to the big time, she certainly had the looks for it!